Fire rated felt finish suitable for pins. 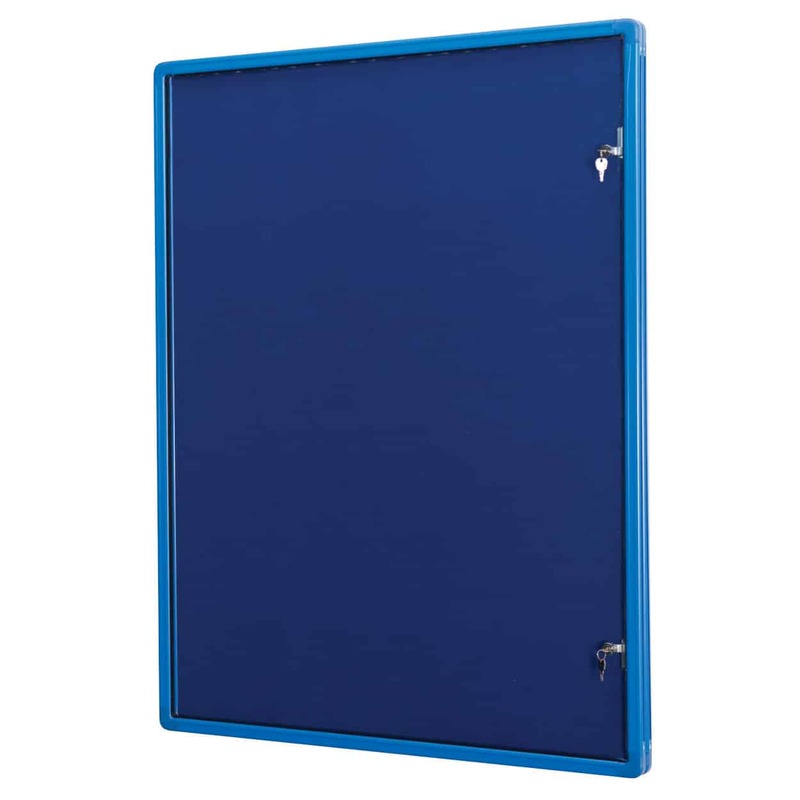 Locking, hinged polycarbonate door or double doors on two largest sizes. 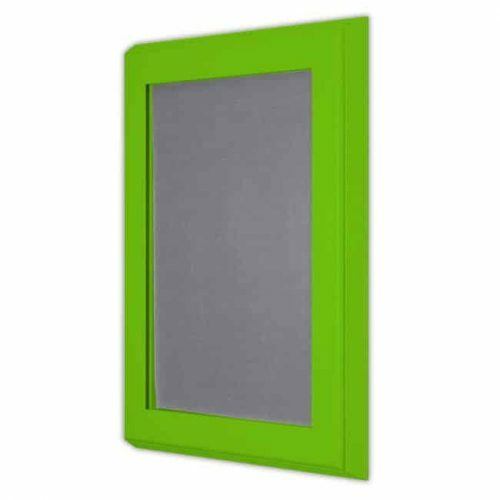 Framed in colour co-ordinated powder coated aluminium with coloured rounded safety corners. 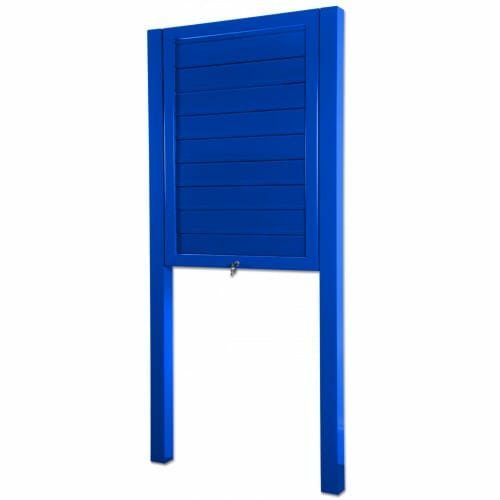 Single door models can be fixed either portrait style or landscape and door is hinged to the long edge. 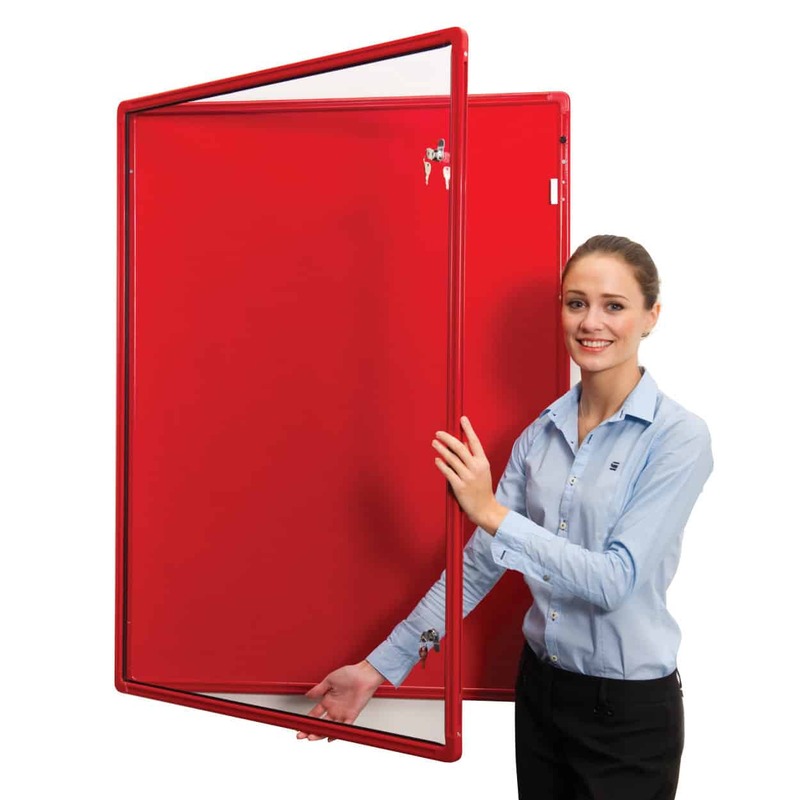 Twin door models can only be fitted landscape.